Before you start sending emails via Operate, we recommend customizing your email signature. This gives a professional touch to your email communication. Start by clicking your name at the top right corner of your Operate screen, then click My Profile. You will now be taken to a visual editor, where you can enter your signature text and/or images. You can copy and paste your existing signature from your current email client, but for the best results, create the signature from scratch; simply because elements such as styling, formatting and images might not be fully copied. Upload your images - You might want to upload images for your company logo, social media icons or other branding elements. To insert an image in your signature, position the cursor where you want to insert the image, click on the image button (highlighted in the screenshot below); browse your computer for the image and then click Upload to insert it. You can also drag and drop the image into your editor and it will be inserted at the location of your cursor. If you need to resize the image, double click it (or right click > Image Properties) and change the width or height according to your preference. If you change one, the other will adjust to keep the same aspect ratio of your image If you want to change that, click the padlock icon - when the icon turns to unlocked, you will be able to change the aspect ratio of your image. Changing this means modifying the shape of the image - e.g. : from rectangular to square. The option is locked by default, since many time images are distorted when using an aspect ratio that is different from the original. Check your signature’s source code (by clicking the Source button) and make sure that there are no “style” tags added to your image. Check your image HTML for a tag that looks like this: style=”width: 100px”. If you find such a tag, please update it to: width=”100”. The style tag might not be recognized by some email clients such as Microsoft Outlook and can cause your image dimensions to be ignored. This will result in your image being displayed in its original size (which might be too large). Please note that the image dimensions shown in the example tags above are just examples. Your dimensions may differ. Format your text according to your preference - If you were previously using a font that is not available in Operate, simply choose the closest font available. 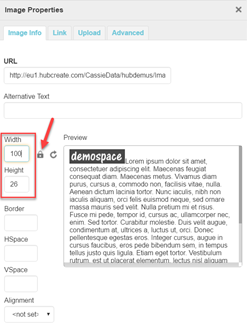 Use the Styles and Format dropdowns to simplify your formatting. Add hyperlinks to text or images by selecting the text/image and clicking the link icon. For example, you can upload your company logo and link it to your website. To do so, select the image and click the Link button. 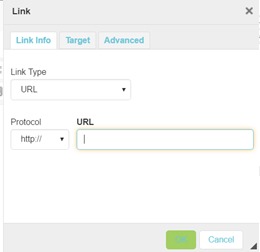 Select the link type (a URL when you want to link to a website or); add the protocol (http for regular URLs) then enter your web address in the URL field. If you would like the link to open in a new browser tab, then click Target and select New Window. Click OK when you are ready. Use the other options according to your needs. Below is an overview of all of the options you can use in the editor. Save your signature when you are happy with it. The Signatiure is only added to the emails you compose manually - using an email template will overwrite it. Therefore, to ensure that your emails always contain a Signature, regardless of whether you are using a template or not, please make sure that the Signature is added both within your Profile (as described above) and your email templates (as explained in the dedicated guide). Please do not copy/paste, but format your Signature right within the Email Template Editor. Your invoice/credit note related emails will not contain a Signature at all (not even when composing the message manually). Please add it to your email template instead.